Producing vivid and dazzling pictures even in environments with ambient lighting. Ideal for conference rooms/ multimedia classrooms with a capacity of more than 50 people. Incorporated with Texas Instrument's latest DDP2430 scaler to realize true 10-bit signal processing and 1.07 billion color displaying. Presentation / Bright / sRGB / Movie / Blackboard / Classroom + 2 User Modes to cater for all possible operation environments. 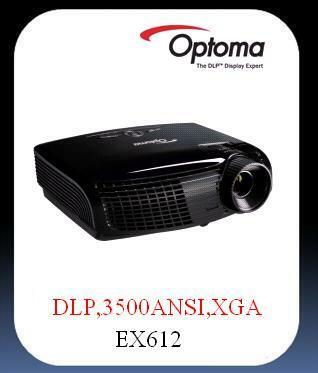 To retain image clarity, Optoma projectors are designed with DLP technology, preventing degradtion overtime and consistent pixel performance. The Imager Guarantee ensures a precise picture performance for a minimum of five years. We're so confident that the EX536 colors will not fade that we guarantee the colors will remain vibrant and vivid, even after many years of use.